This is a short little book containing four essays written by George Orwell. The one I was most interested in, is the 10 page title essay – Why I Write. As a side note I didn’t realise he was so young when he died, only 47. A quick Google told me that he had tuberculosis. Even more surprising was that he wrote 1984 when he was ill publishing it just a year before his death. He concludes by saying that his political purpose is his driving force. Do you recognise elements of the four main reasons to write in you? Which do you think is most important at this time? What do you think he meant by ‘every book is a failure’ – this isn’t expanded on – is it self confidence or something else? Thanks to Colin Smith for awarding me the Wonderful Team Member Readership Award. The bit I’m going to break is listing 14 other people to give this award to – Sorry Colin hope you don’t mind. I’m not one for chain mails etc either. If I like what the mail says I forward it but where possible take out the send this to x no of people bit. I will however say a huge thank you to Colin in particular who has commented lots on my blog during this challenge and thank you too to each and everyone of you who have commented this month and before, especially if you’ve come back more than once – that has been very appreciated. In short I would give this to everyone who has taken time to read what I’ve written whether you’ve commented or not. A great reader is one who reads their own story as well as the one that is written. 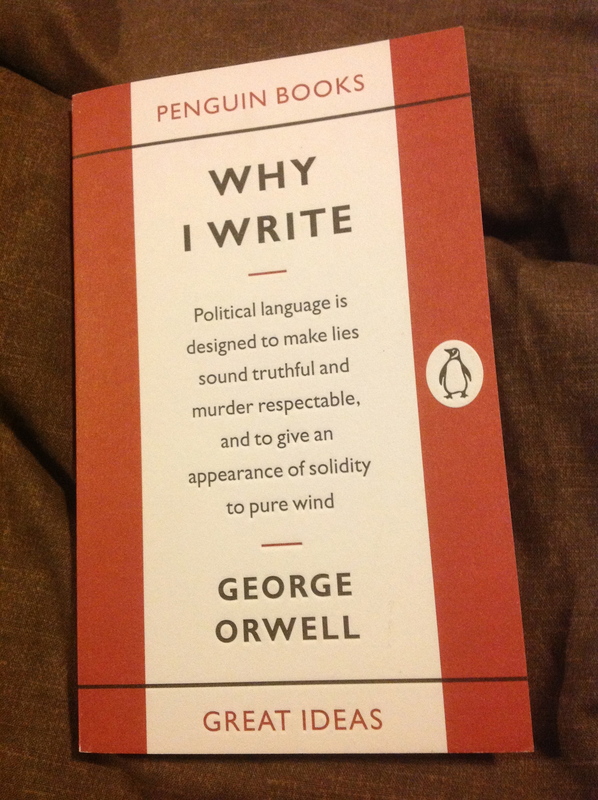 Posted on April 27, 2013, in April A-Z Challenge, OT/Lecturing/PhD Reviews, PhD and tagged A-Z 2013, Book, George Orwell, Readership award, Why I Write. Bookmark the permalink. 2 Comments. Interesting article on Orwell’s book, and such good points throughout.